Build your own garden pond! I am absolutely sure that most of us would agree with the following quote by Wyland “The ocean stirs the heart, inspires the imagination and brings eternal joy to the soul”. How many times have we felt that eternal calmness while gazing at the never ending sea waves? The waves which incessantly try to break the beach rocks teach us the extremely important lesson of never giving up in life. Albert Einstein to is believed to have said: “ Look deep into water and you will understand everything”. However, it is not always possible for most of us to live beside an ocean or river and hence there are times when we miss the coolness and calmness of gazing at a waterfront. This has given rise to the culture of building a small garden pond in the backyard or even in front of homes. 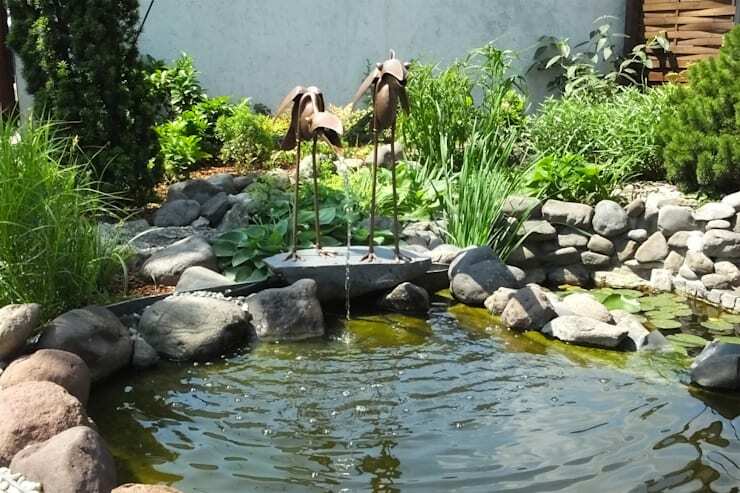 A small space in the backyard or at the front of your home is enough to start with a small garden pond and hence many homeowners across the world are trying to hire professionals who will help them build their dream garden pond. If you too are someone who is contemplating on building your own garden pond, then look no further. We are here to especially help out all the water loving people of “Pearl of the Orient” build their own garden pond from scratch. Obviously, the first step in building a pond in your garden is to zero in on the exact location where the pond has to be built. Since we spend most of our times indoors, my first tip would be to choose a place which is easily observed from even within the house. For example choosing a place just outside your big living room window would allow you to enjoy the beauty of the pond even from your living room. Just make sure that the place is sunny enough. 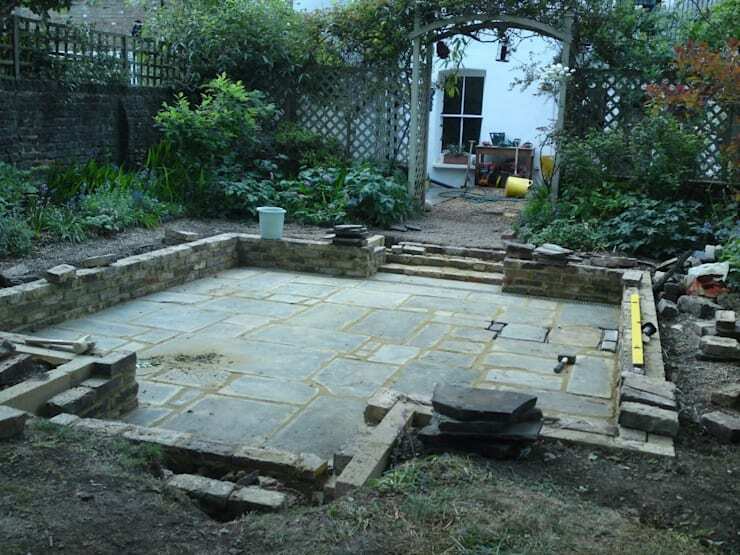 The next step now is to decide on the size and shape of your garden pond. Remember here that the bigger your pond, the more maintenance it will require and vice versa. So keep in mind the maintenance cost before you start digging a huge pond! A small tip I would give here is to not build a garden pond smaller than 30 square feet. The ideal pond depth should be 18 inches or more. Choose from any pond shape you desire—from simple squares, ovals and circles to free flowing shapes—the decision is entirely yours. However, steer away from very complex pond shapes with sharp edges. 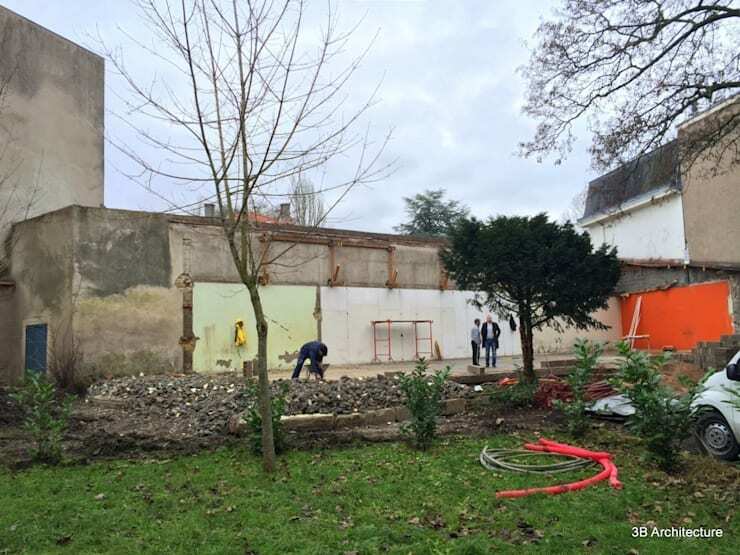 Once the place and the pond size is decided, get digging. Mark the outline leaving extra space all around the pond and start digging with a spade. Start digging from the centre and move outwards. 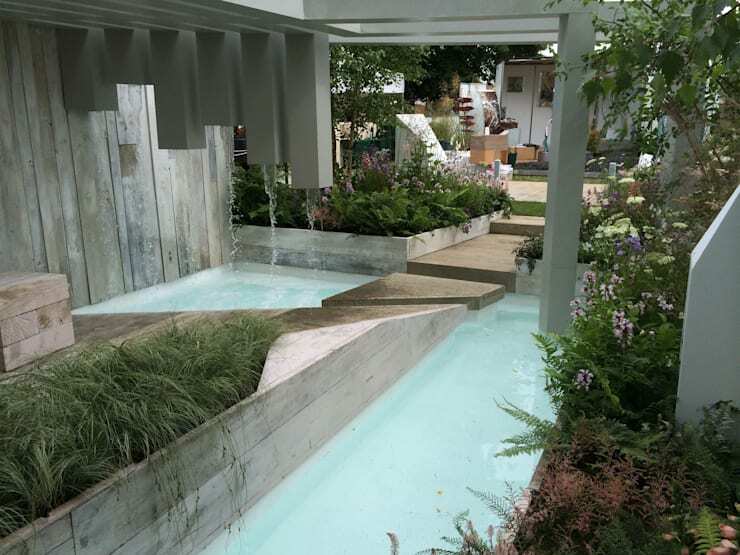 You can choose to build a tiered pond too if you have decided on having a waterfall in your pond. Lay a two-inch layer of mason’s sand on the place you have just finished digging. The mason's sand will protect your pond liner from getting punctured with sharp rocks. Alternatively, you can even use carpet or old newspaper in place of sand though personally I would recommend sand. The next step, laying the pond liner, is the trickiest in building your dream garden pond. Armed with the correct liner size for your dream garden pond, call a couple of friends to help you out in this step. Ask your friends to hold the liner while surrounding the pond and then drop it. The liner which should ideally extend beyond the perimeter of the pond is held in place with rocks and bricks placed on the pond periphery. With the liner in place, the task of building your perfect garden pond is literally a cake walk. It is time now to build the plant shelf. This is actually stacking stones on the floor of your beautiful self-made pond. The stones which you are using should be flat so that they are stackable. Overlap the stones and fill gaps with smaller stones. This step is for all those who have pre-decided on having a waterfall in their pond. If you have decided not to have a waterfall in yourself made a pond, then you can skip this step and move on to the next. For all those who want to have a waterfall in their pond, it is time to carefully set the water pump. The pump should be kept over a flat stone at the centre of the pond pit. Connect this pump to a hose pipe. The time now to do the perimeter of the pond and make it aesthetically appealing. 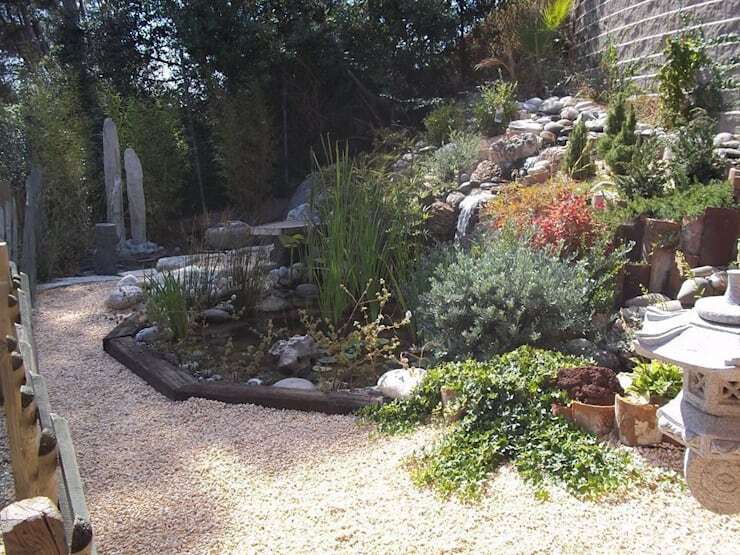 This can be done by arranging flat rocks all around the perimeter of the pond. Line the pond tiers with these rocks to make the base of your waterfall. Any extra liner which is visible can be camouflaged with clever use of pebbles, stones and rocks. Fill in the pond with water. Your garden pond is on the verge of completion. 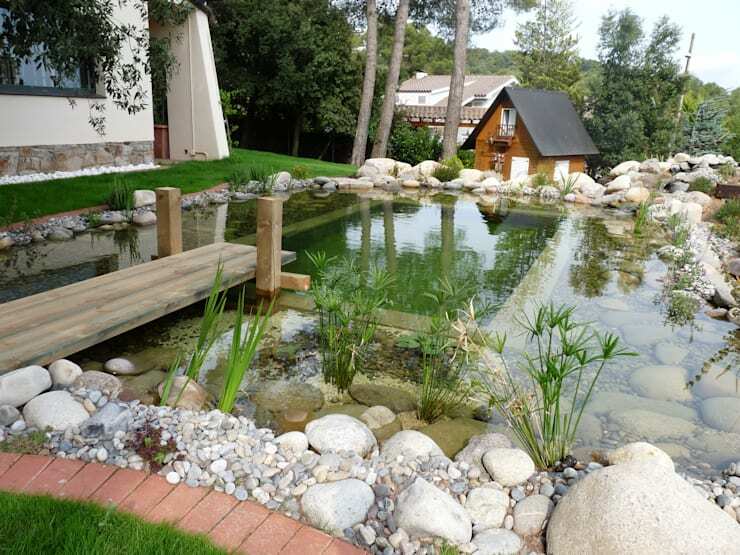 All its needs are some final touches which involve landscaping and taking care of the fauna in and around your pond. The sky's the limit here and you can go as indulgent or as minimalist as you wish to. Choose the right combination of plants and create a self-sustaining pond which needs minimum maintenance. Go for evergreen plants such as Ivy, Hemlock trees, Japonica bushes and others. You can also have floating leaves like waterlily pads and others to save yourself the trouble of removing algae on the pond surface. Yay! Your self-made pond is ready to enjoy. Throw in a party and show your new pond making skills to your friends and family. Read Boost your garden… with a pond to know more.